This casual watch is for both men and women. 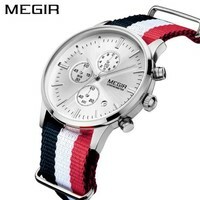 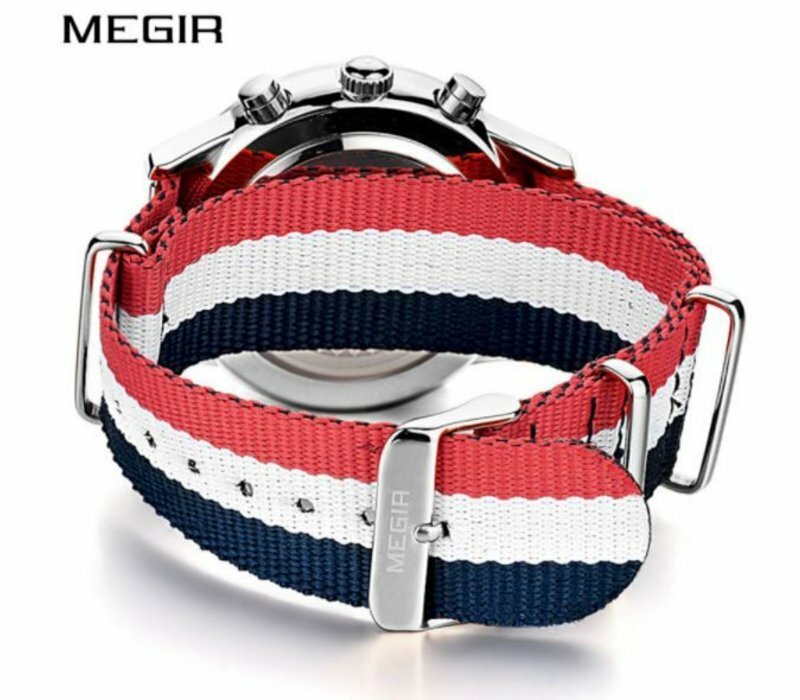 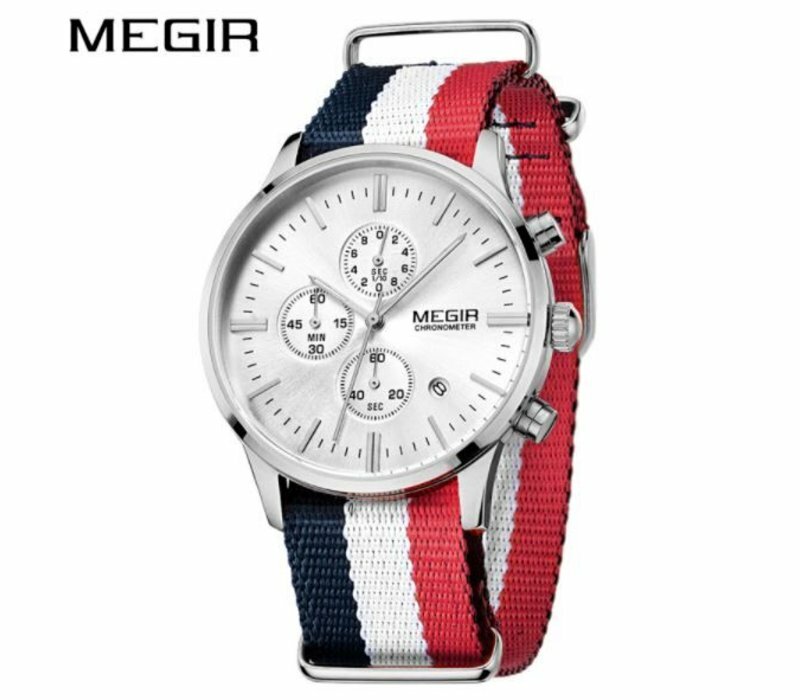 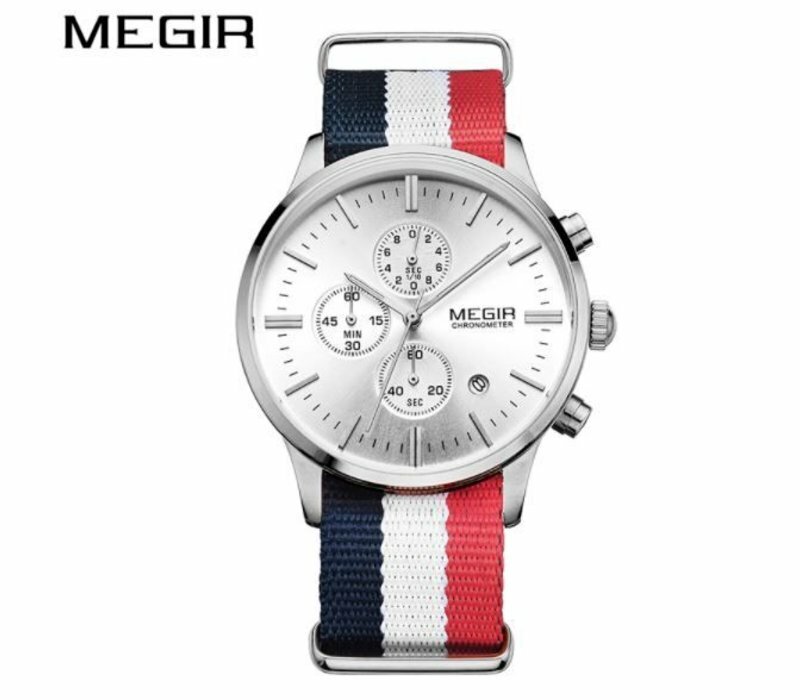 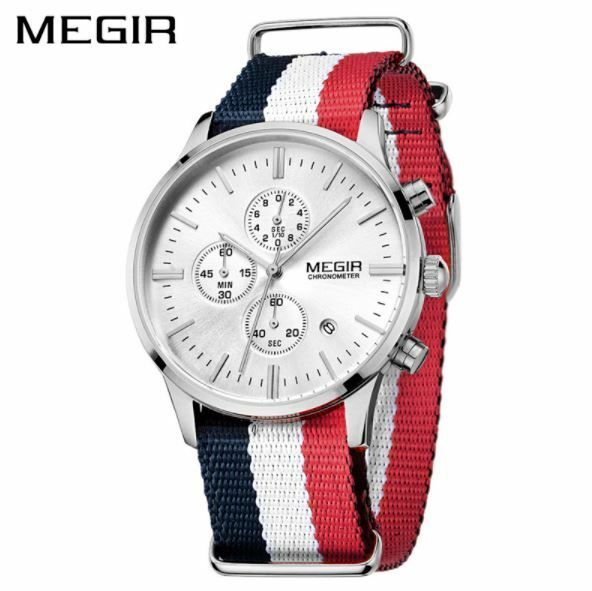 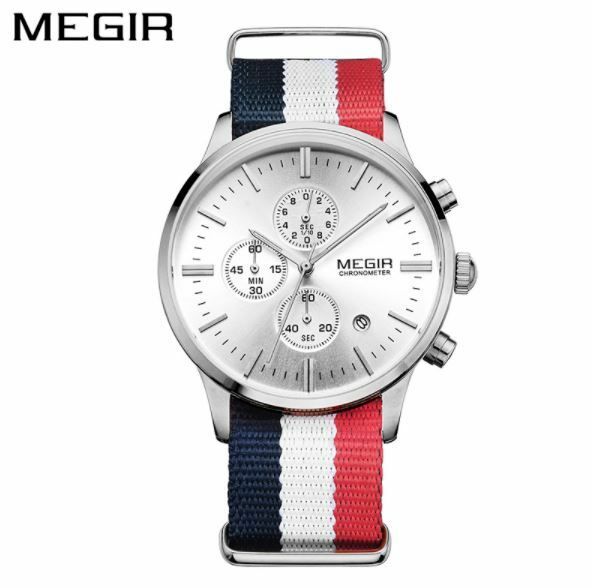 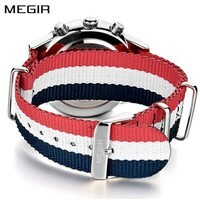 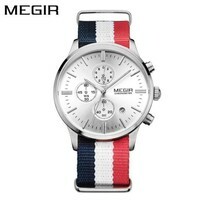 It is silver coloured with a canvas red, white and blue band. 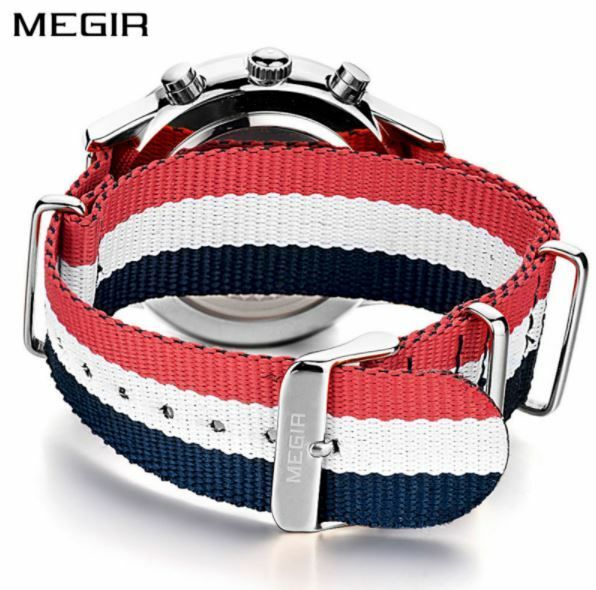 It will give you a great look!